The Redbook CD standard of 44.1kHz/16-bit is not a deficient scheme, although a much more robust standard would’ve transpired our audio experience much sooner. While the engineers in the 80’s determined a digital medium with 44.1kHz of sampling rate at 16-bit of resolution would be adequate to contain all audible information for even the most critical listening purposes, they lacked foresight in the inadequacy of technologies and processes required for conveying every digital byte of a sonic experience that is fully 44.1kHz/16-bit in nature. Just as that 300hp, all-wheel-drive family vehicle provides such extra margin of performance for the routine, everyday driving, that it will always perform confidently and flawlessly for its driver in most thinkable and unthinkable circumstances, and that 50Wpc SET amplifier that can drive 99% of loudspeakers in any given day with assurances of performance will also give that much extra performance when driving medium to high efficiency speaker, so should the engineers have the foresight of pursuing an audio format incorporated with such extra performance margin in transcending the human auditory threshold, so that It would perform as intended for the inevitable, suboptimal execution in normal listening environment. Hence, with 25 years of hindsight before us now, I personally believe that in order for the promise of the 44.1kH/16-bit Redbook CD standard to come to pass, the industry should have adopted a minimum standard of 88.2kH/18-bit standard to accommodate loss of resolution in the playback process. Because it is now proven by the continuous evolution in various mastering and playback technologies, that even the sound quality of the Redbook CD standard is able to continue to gain strides. In other words, despite progress in mastering and playback technologies in the past quarter-century, we are still working towards reaping the sound of the Redbook CD conclusively. Imagine how far we would have come to the original 44.1kHz/16-bit ideal had we been bestowed with an 88.2kHz/18-bit standard from the start. But it would also seem that the ball is now in the court of the labels, as they must determine whether they want to continue supporting the existing SACD audiophile customer base. For a bleaker reality, Deutsche Grammophon, the largest classical label, has not produced an SACD in 2007, and is continuing its use of the quarter-century old Compact Disc as its primary medium, albeit featuring the latest generation of its in-house mastering technology. 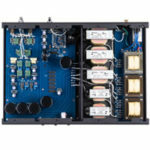 For the time being, readers with audiophile-grade SACD players can at least be assured of two things: 1. they are positioned to enjoy whatever music being churned out by the existing SACD labels; 2. their players are nonetheless very competent even for extracting information from the next generation of CD’s. The newest generation of CD’s I am referring to is the new K2 HD from JVC, a listening experience of which prompted my very realization of the potentials of Redbook CD yet to be exploited. 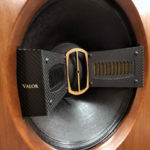 The engineers at Victor Company of Japan (JVC) responsible for the XRCD process, arguably the most widely accepted audiophile CD standard, is now unveiling this latest engineering feat for the benefit of the Compact Disc audiophiles. Whereas HD stands for High Definition, the monogram K2 stands for the last names Kuwoka and Kanai, the two JVC senior engineers who developed the first JVC interface system in 1987, officially dubbed K2 Interface, for maximizing “resolution in the confines of the Red Book format” (quoted from the FIM K2 HD literature). “K2 HD is an entirely new mastering system developed by the K2 team for Victor Entertainment, a separate JVC company from JVC Mastering Center in Yokohama, which produces the XRCD. Though both are a part of the larger JVC Company of Japan, Victor Entertainment and JVC Mastering Center operate independently of each other. In a nutshell, XRCD/XRCD24 is a product which is mastered by a special processor system and the glass master is cut by special XRCD laser cutter in the XRCD production line. On the other hand, K2 HD Mastering is primarily a superb and very special mastering technology. What it produces is first and foremost a K2 HD master disc (WAV file). It is not a product. The K2 HD master disc can be used to produce K2 HD mastered CD’s by any pressing plant anywhere, provided the quality is assured. Seemingly squeezing the resolution of a 24-bit master tape with a top frequency limit of 100kHz into the CD, the process represents a major multinational corporation’s ongoing quest in CD technology refinement by way of preparing a vastly superior master tape of unprecedented resolution. The result is a Redbook CD that carries Sony/Philips’ original “Perfect Sound Forever” promise to an unprecedented level. Consisted of tracks from six (6) of Winston Ma’s First Impression Music XRCD discs, three (3) Keith O. Johnson-produced Reference Recordings discs, another three JVC Japanese discs and one from Seou, the K2 HD Sampler also features no less than three tracks from three (3) First Impression Music and Lasting Impression Music’s discs that are already carrying a K2 serial designation for re-release in the new standard. FIM XR24 066 – (Limited Edition) Super Sound! Speakers of higher caliber, such as the Audio Note AN-E SEC Silver and Bösendorfer VC 7, instill a wider margin of discrepancies between the performance of XRCD24 and DSD CD, although I concede that such comparison is unfair without experiencing the SACD layer also. Superior as the XRCD’s are to all standard CD’s I’ve encountered, the K2 HD Sampler presented a more significant excursion in the prowess of the XRCD24, yielding a considerably more meticulous presentation and separation of instrument bodies. 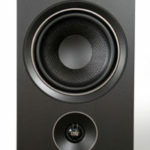 On speakers capable of producing larger soundstage, such as the Bösendorfer VC 7 and the Tannoy Churchill Wideband, the spatial prowess of the K2 HD was more easily discerned, while smaller speakers, such as the Audio Note AN-E SEC Silver and the Murata ES301 floorstander, would demonstrate a preciously more precise timbre portrayal, with a firmer medium- to bottom-end. The K2 HD Sampler and DSD CD’s offered differing perspectives in dimensionality and dynamic contrasts. Although the DSD CD’s already surpassed standard CD’s in a more full-body spatial and tonal dimensionality, its colossal, high-profile portrayal of instrument body marked a stark contrast to the K2 HD disc’s more unified and microscopic-like delineation of instrument bodies and timbre characteristics. In addition, though its tonality was not as spectacular as that of some of the DSD CD’s, most notably those from Telarc, the K2 HD disc was nevertheless subjectively more evenly distributed in energy, culminating in a more focused presentation of relative positioning of activities onstage. The biggest surprise in the K2 HD Sampler’s advantage was how DSD CD’s sounded somewhat clustered when compared to it. Vocalists were presented with a beautifully harmonious dimensionality and imaging perspective amidst accompanying musicians on the K2 HD, whilst the DSD CD’s perspectives put varying degrees of highlight on the vocalists and musicians respectively, and put forth a persistently larger-than-life scaling of the human mouth and instruments alike. “The K2HD is astonishing. From the first second of “Symphonic Dances”, I knew that we had something special. There is a magical something in the silence of a concert hall that does not come through a CD, only when you are there “live” or your LP is ‘in song’ and it came through on that first track. 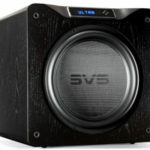 I believe that this is in the sub-bass – which is why we have speakers that go down flat to 16Hz. I also noticed this also at the other frequency extreme. The decay of cymbals, and triangles sounded very much more real. The astonishing thing was that I have some of the tracks on the sample disc on SACD, and the K2HD is better! The K2HD is very much more musical. This is through the same playback chain – the Esoteric DV-50 superbly modified by Allen Wright in Switzerland. I wish I still had my LP of “Symphonic Dances” to compare, but I lost it during moving from Singapore. Well, when Winston releases Jazz in the Pawnshop and Cantate Domino, I can compare the K2HD to my first pressing of those albums! Dagogo wishes to thank Mr. Winston Ma of First Impression Music for the privilege of auditioning his latest fruit of labor, and Mr. Gary Koh of Genesis Loudspeakers for taking the time to share his insights with Dagogo’s readers. This disc is selected as one of Dagogo Editor’s Top Reference Discs. Two years ago I bought these K2HD CDs and found a real improvment over the traditional CDs. consisting Arcam A19, Marantz CD6003 and KEF Q300.